Now I know you can just go to the store, buy a dip and put it in a bowl. I know. I know that that process will take you plus or minus 1 minute. 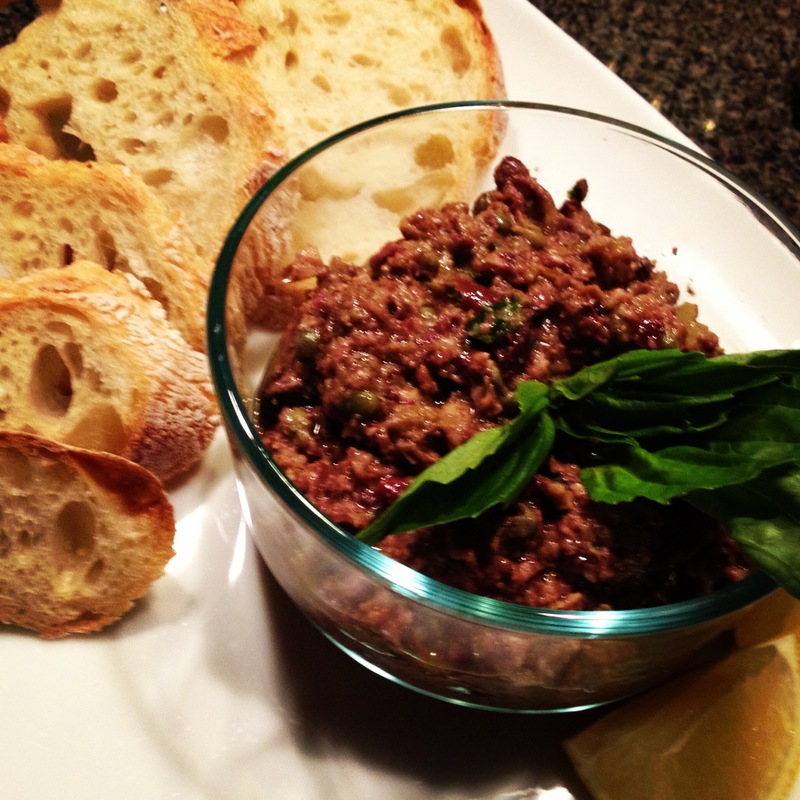 This Olive Tapenade will take you about 2 minutes. Think you can spare an additional minute? Think you can take 60 seconds off instagramming? Literally just pulse 0.5 lbs pitted olives, one tablespoon lemon juice, two tablespoons olive oil, two tablespoons capers, one garlic clove, and two anchovy filets in a food processor. If you live in a black hole or Alaska or something you could leave out the anchovy but that would make you crazy. I love tapenade and yours looks delicious.